Today, the compilation of accurate data about customers and competitors is an indispensable tool for any organization. We understand that the process of conducting market research can often appear overwhelming, however, the dividends it yields are priceless. With that being said, here are five reasons why market research is a must for business success. All too often, companies find themselves talking at consumers rather than to them. There’s a big difference. Market research is an invaluable and effective way to test concepts and key messages to evaluate those customers and prospects relate to best. With this information in hand, you can create content that resonates and determine how best to get that content to the people who matter. Every company’s goal is to position itself uniquely in the marketplace in a way that puts them ahead of the competition. 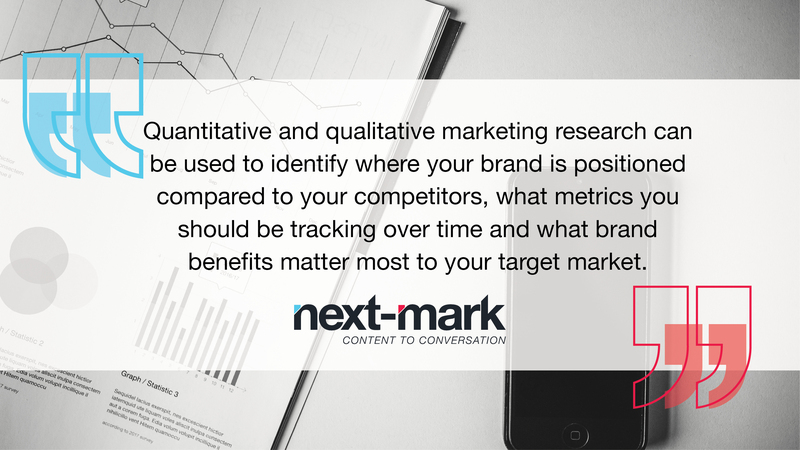 Quantitative and qualitative marketing research can be used to identify where your brand is positioned compared to your competitors, what metrics you should be tracking over time and what brand benefits matter most to your target market. In today’s rapidly shifting market landscape, the ability to make effective data-driven decisions is crucial for all business operations. Having the right information at your fingertips can help you go forward with confidence, validating what you know to be true and minimizing the risk of getting it wrong. One of the biggest returns you get from effective market research is that it compels you to actively listen and to engage with your customers on a personal level. This in turn enables you to more accurately assess their needs and identify potential holes in customer satisfaction so you can make necessary adjustments to better serve them. Significantly, when you can communicate at this level, it shows you not only know your customers and prospects but you also respect them, not wasting their time with incessant and unnecessary communications. You may be familiar with the phrase “adapt or perish.” This can certainly apply to businesses and brands, as well as individuals. Conducting regular market research helps ensure that your brand stands the test of time, looking past short-term gain and evolving as necessary to survive and prosper. In the modern global market, marketing research is not only useful but essential. Put it at the top of your marketing to-do list. Trust us, you’ll be glad you did.